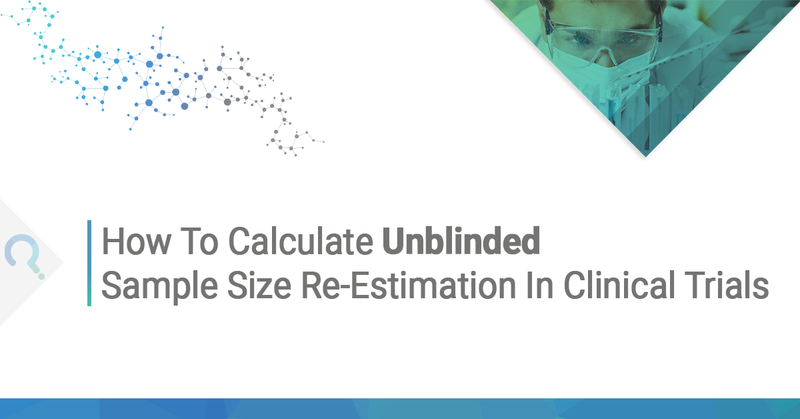 How do you calculate unblinded sample size re-estimation in clinical trials? Watch our video worked example to see how this could impact your trial. 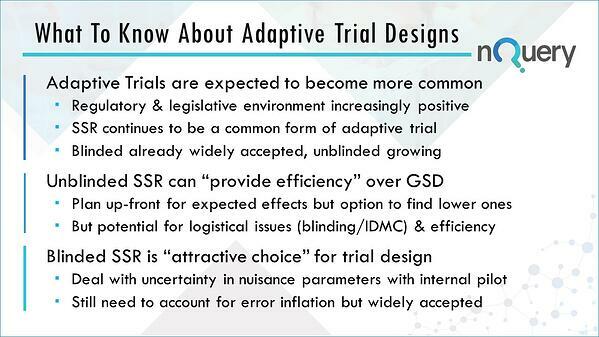 Adaptive trials enable continual modification to the trial design based on interim data. This means that with adaptive trials, you have the opportunity to make changes to your trial, while it is still ongoing. 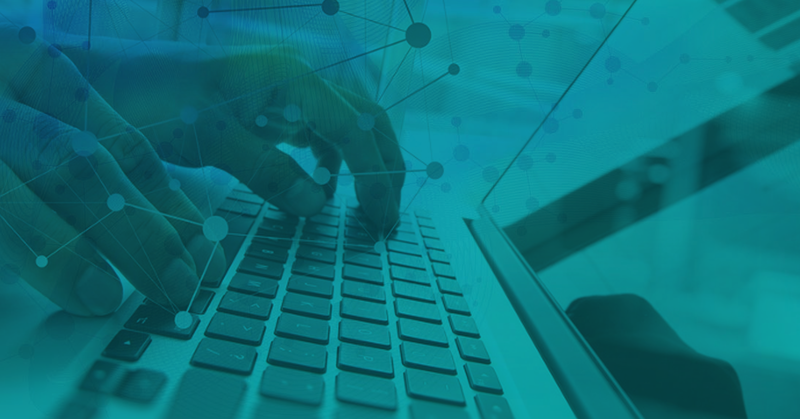 This in turn can allow you to explore options and treatments that you would otherwise be unable to which can lead to improvements to your trial, based on data as it becomes available. 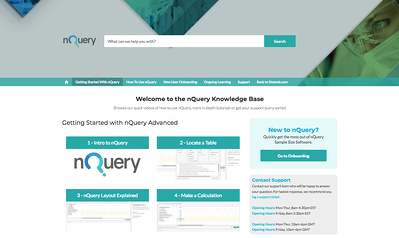 The video below will show you an example of an unblinded sample size re-estimation being carried out in nQuery Sample Size Software. It will be an overview, showing you where the advantages and disadvantages of unblinded sample size re-estimation comes into play in an adaptive clinical trial. The example used is from The New England Journal of Medicine, evaluating anticholinergic therapy versus Botox for urinary incontinence. What are the advantages of unblinded sample size re-estimation? You inherit the Group Sequential Design which allows the researcher to stop early for efficacy or futility. This allows the ability to adjust the trial to the reality of what the effect size is telling you will happen in the trial. Researchers can plan for a lower effect size or sample size to begin with but will still have the ability to stop the trial early and change this. You do not have to increase the sample size, however, you now have the option to. You may save a trial that is not on the right trajectory by using this approach. Also by having the ability to stop a trial early, you inherit the reduced costs that come with this, such as not investing money in a futile trial. In an unblinded sample size re-estimation you have a wider range of effect sizes which are now within the plausible success range. 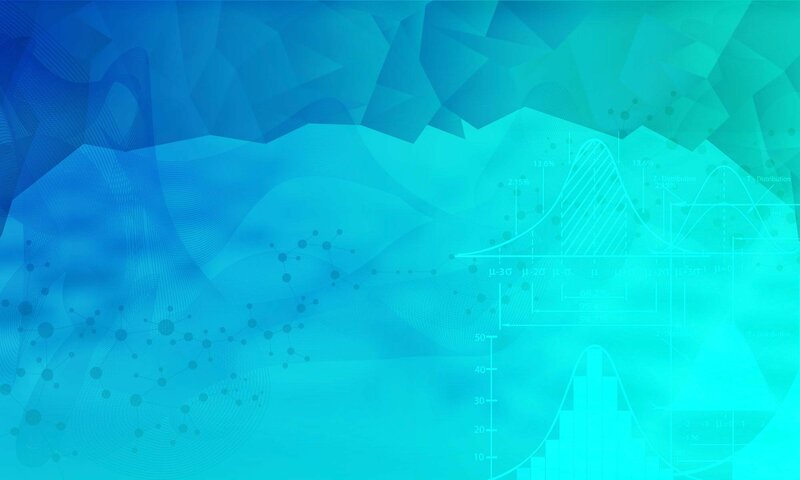 This is in contrast to the traditional case because you now are given the ability to increase the sample size for those relevant effect sizes which are lower than you initially planned for. There’s a wider range of potential effects and this optionality might give you the ability in more complex unblinded sample size re-estimation to test additional treatments. Optionality can make up-front investment lower, which will appeal to stakeholders. There is also a better chance of success valuable to subjects. This was a relatively simple example of an unblinded sample size re-estimation. 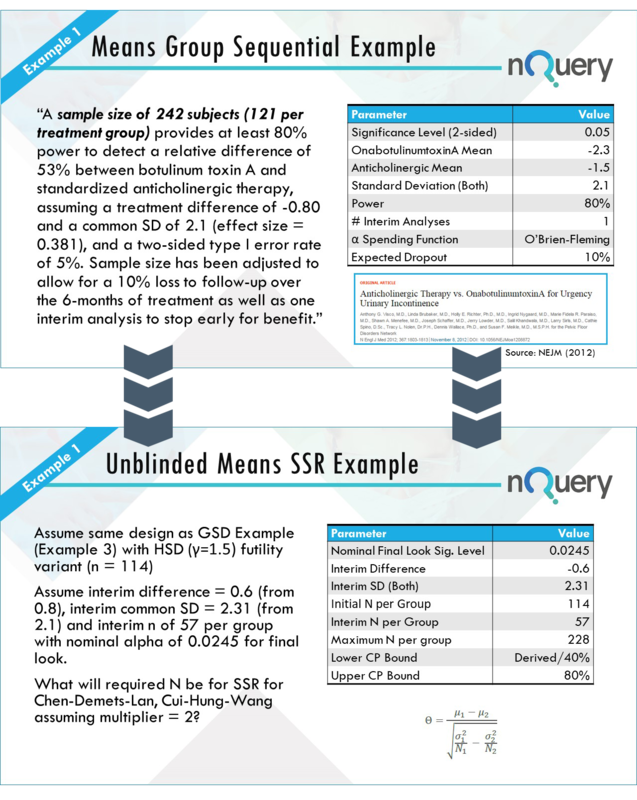 It highlights the statistical considerations of unblinded SSR and how these could benefit your sample size to ensure your study remains statistically significant. 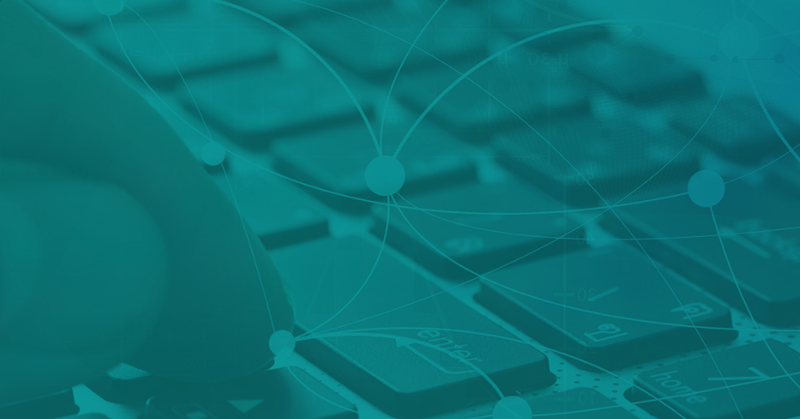 If you are exploring adaptive designs, one important factor is to select validated and trusted software that is designed for your adaptive trials. 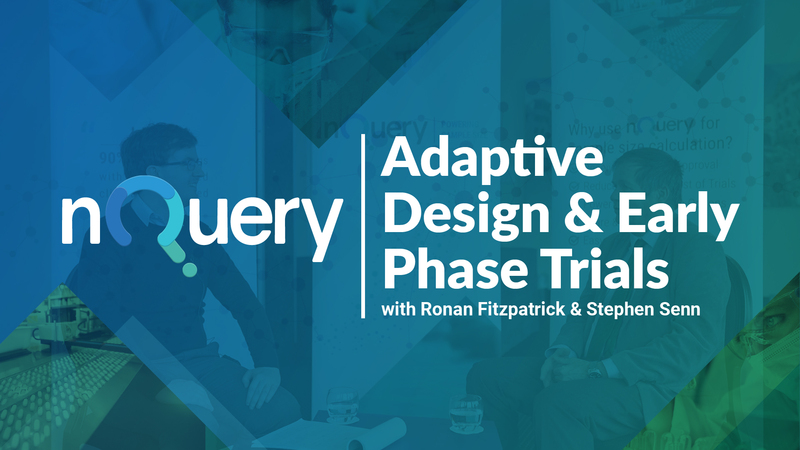 nQuery has dedicated adaptive trial design functionality that contains a selection of sample size tables designed specifically for areas of adaptive design.